James is the immediate past Chair of the American Bar Association Presidential Standing Committee on Lawyers’ Professional Liability. 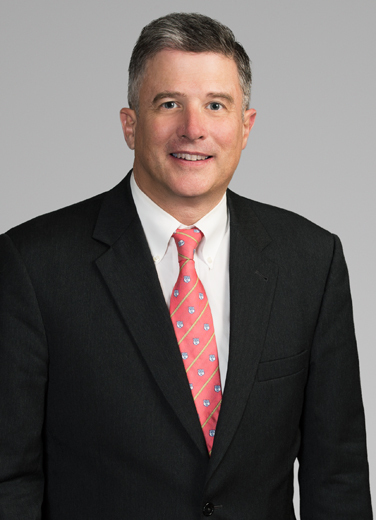 James Brown is an experienced trial lawyer handling complex litigation throughout the courts of Louisiana and the U.S., with a focus on banking, contract and professional liability disputes. A Fellow of the American College of Trial Lawyers, he has a national reputation in key areas of complex litigation: legal malpractice defense, director and officer liability, antitrust, trusts and estates litigation, First Amendment and Education Law. James is the chair of the firm's Commercial Litigation Section and Professional Liability Group, and he serves as the firm's General Counsel and Loss Prevention Partner. For over three decades, James has represented federal banking agencies and banks in complex commercial and professional liability cases. He also has defended national legal malpractice carriers and law and accounting firms, and has handled trust and estates litigation and other types of commercial claims and disputes. James has tried difficult, high-stakes cases in these areas in both state and federal courts. A national management consulting firm was facing post-Katrina lawsuits brought by the Louisiana Attorney General, claiming that our client was part of a conspiracy to underpay victims for property damage. We developed a new theory of “disguised class and mass action” that enabled us to remove the case to federal court, where we prevailed, avoiding a potential nine-figure exposure. The Federal Deposit Insurance Corporation turned to James and the firm's litigation team when Westernbank of Puerto Rico failed in 2010. With James's help, the FDIC sued the bank's directors and officers claiming gross mismanagement that led to the bank’s failure. James doubled the amount of liability insurance available to pay the claim by persuasively arguing a theory of “relation back” of coverage before the federal court, leading to a $34 million settlement in FDIC’s favor – over five times the FDIC’s litigation costs. In addition to the FDIC, James represents other major institutional clients, such as Attorneys’ Liability Assurance Society, Inc. and other national legal malpractice carriers. “The unifying theme of these cases is their size, complexity and large exposure," James notes. Successfully defended a leading national retailer and motor fuel distributor against suits by a New Orleans retail chain seeking to invalidate motor fuel distribution contracts. We obtained full enforcement of our client’s contracts along with a refund of a substantial portion of our attorneys’ fees for the client’s benefit (2017). Successfully defended an international law firm in a major securities case in Louisiana (2013-2016). Successfully defended one of the nation’s largest flooring retailers against a wrongful death claim alleging emissions from the flooring (2016). Lead counsel for FDIC in a director and officer liability case in Atlanta, GA (2012-2016). Obtained over $17 million in settlements and judgments for FDIC in 2015 and 2016. Secured dismissal of RICO, unfair trade practice and related claims against international law firm (2012). Secured summary judgment dismissing legal malpractice claims against a large New Orleans law firm and national legal malpractice carrier (2012). Secured a federal court judgment recognizing the non-governmental status of a Louisiana charter school operator and its right to redress under 42 U.S.C. Section 1983 for deprivation of its vested contractual rights in violation of Article 1, Section 10 of the U.S. Constitution. The judgment was the first of its kind and has landmark significance to the charter school movement sweeping the nation. Advocates for Arts-Based Education Corporation v. Orleans Parish School Board, 2010 U.S. Dist. Lexis 6019 (EDLA Jan. 26, 2010). Defended an international law firm and one of its senior partners in a two week jury trial in Mississippi (2010). Defended a former CEO of Louisiana's second largest HMO in a three week federal white collar jury trial (2008). Secured dismissal of antitrust price fixing claims filed by the Louisiana Attorney General against one of the world's largest international consulting firms. State of Louisiana, ex. rel., James D. Caldwell v. Allstate Insurance Co., et. al., No. 07-9409 (East. Dist. La. Dec. 17, 2008). With other attorneys, secured a reversal and remand of an award of $72 million in sanctions against a federal banking agency. Mr. Brown and other firm attorneys were hired to handle the matter on appeal from the sanctions award. FDIC v. Maxxam, Inc., et. al., 523 F.3d 566 (5th Cir. 2008). Secured dismissal of antitrust claims filed by the Louisiana attorney general against one of the nation's leading pharmaceutical manufacturers (2008). Developed a successful legal theory for removal of state attorney general suits against industry as disguised "class" and "mass" actions subject to the Class Action Fairness Act. See State of Louisiana, ex. rel., James D. Caldwell v. Allstate Insurance Co., et. al., 2008 U.S. App. Lexis 15275 (5th Cir. July 18, 2008). Successfully defended the former president of one of Louisiana's largest health maintenance organizations against multiple civil actions brought by the company's Receiver (2006). With other attorneys, secured dismissal of a major class action brought against a federal banking agency and credit card bank challenging the insured status of the bank. (2005). Part of the legal team that secured an important victory for a federal banking agency in the United States Court of Appeals for the Fifth Circuit. The class action attacked the insured status of a federally insured banking institution. Heaton v. Monogram Credit Card Bank, 297 F.3d 416 (5th Cir. 2002). Working with Liskow & Lewis attorneys, obtained a reversal by the Louisiana Supreme Court of a large malpractice judgment entered against a law firm and national malpractice carrier. The firm was retained to handle the appeal after the adverse judgment was rendered by the district court. The decision is important to many other pending and future cases. Hendrick v. ABC Ins. Co., 00-CC-2403 (La. 5/15/01), 787 So.2d 283. In a professional liability case for a federal banking agency, secured an important victory in the United States Fifth Circuit involving the failure of Louisiana’s largest thrift institution. FDIC v. Barton, 233 F.3d 859 (5th Cir. 2000). New Orleans Ethics Review Board – Member by appointment of the Mayor, 2013–2019. Vice Chair, 2017-18. Oversees the New Orleans Inspector General and Independent Police Monitor and administers and enforces the New Orleans Code of Governmental Ethics. Mr. Brown is Chairing the 2017 New Orleans Inspector General search. Chaired 2016 U.S. Magistrate Judge Merit Selection Panel by appointment of the Chief Judge of the federal court. James frequently speaks, teaches and publishes in the areas of professional liability, ethics and trial advocacy. He has given over 100 professional presentations to national, state and local bar associations in the areas of trial practice, complex litigation, and lawyer ethics and professional responsibility. James is the immediate past Chair of the American Bar Association Presidential Standing Committee on Lawyers’ Professional Liability by appointment of the President of the ABA. The 10-member presidential standing Committee plans, sponsors and produces the biannual ABA National Legal Malpractice Conference, which draws together hundreds of leading attorneys and insurance industry professionals from around the nation to address current issues relating to prosecution and defense of legal malpractice cases, loss prevention and professional liability insurance. The Committee also publishes newsletters and alerts on late breaking cases and developments to the members of its Lawyers’ Professional Liability Consortium. He is also a former member of the firm’s Board of Directors and serves as the firm’s General Counsel and Loss Prevention Partner. James is an accomplished amateur violinist and guitarist.